YouTube has billions of daily users around the world. The platform allows creators to share their content with the world and make some money in the process through its Partner Program. In the last few years, we have seen the emergence of many YouTube celebrities such as Felix Kjellberg and Logan Paul. 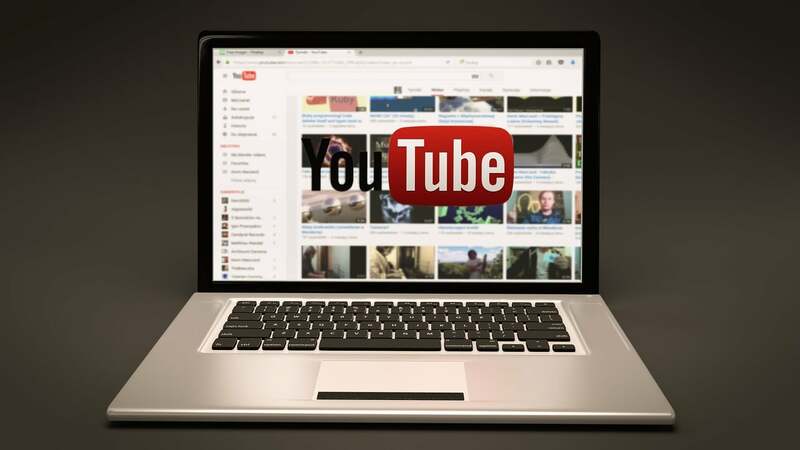 The recent battle between PewDiePie aka Felix Kjellberg and India’s T-Series to claim the title of the world’s most subscribed YouTube channel has sparked curiosity among people to know about the top 10 most subscribed YouTube channels in the world. YouTube introduced the ability to subscribe in 2005 and began publishing the list of most subscribed members in April 2006. Back then, Smosh was the most popular channel with just a few thousand subscribers. Today, it has amassed more than 22 million subscribers from around the world and is the 40th most subscribed channel. The ranking below doesn’t include automatically-generated channels such as Music, Gaming, and Sports because they don’t produce their own videos. Germán Alejandro Garmendia Aranis aka HolaSoyGerman is a Chilean comedian. He is also part of the Ancud band, and you can listen to his songs on Spotify and YouTube. HolaSoyGerman is the most popular Spanish-language channel with 38.64 million subscribers at the time of this writing. He also runs another channel JuegaGerman, which has 34.2 million subscribers. Run by five former college roommates Garrett Hilbert, Cody Jones, Tyler Toney, Coby Cotton, and Cory Cotton, Dude Perfect is a perfect blend of sports and comedy. The channel is almost a decade old. The Dudes have been featured on ABC News and Jimmy Kimmel Live. They also hold several Guinness World Records. Dude Perfect currently has 40.9 million subscribers on YouTube. WWE or World Wrestling Entertainment has 41.4 million subscribers on YouTube. It has more than 40,000 videos because the channel features all episodes of Monday Night Raw as well as behind the scenes footage. The channel has received more than 31 billion views on its videos since its inception in 2007. Cocomelon was previously called ABCkidsTV. It makes learning fun for kids through educational lyrics and 3D animation videos of nursery rhymes and their original children’s songs. The channel is owned by Treasure Studio Inc. It has 42.47 million subscribers at the time of this writing. This channel compiles the live performances, interviews, and music videos of popular Canadian singer Justin Bieber. He began posting homemade videos on YouTube in 2007. Today, many of his music videos have over a billion views on YouTube. The channel has 44.12 million subscribers. The Sony Entertainment Television (SET) India is a Hindi-language TV channel with a strong presence on YouTube. It uploads content such as thrillers, comedy, dramas, and dance shows for family entertainment. Since uploading its first video in 2006, SET India has amassed 45.11 million subscribers. KondZilla or Konrad Cunha Dantas is a Brazil-based Portuguese language music video producer. He launched his YouTube channel in 2012, and has grown it to 48.17 million subscribers and 23.9 billion views. Dantas is the biggest electronic music producer in Brazil. He has worked with many popular artists like Koral Conka, DJ Marlboro, and Preta Gil. 5-Minute Crafts is the youngest YouTube channel on this list. Launched in November 2016, it has amassed 52.9 million subscribers on the platform. The channel makes how-to videos on crafts, life hacks, and DIY projects. It is also insanely popular on Instagram, where it has 27.2 million followers. T-Series is a popular Indian music label. It had briefly overtaken PewDiePie as the world’s most subscribed YouTube channel, but has slipped behind again. T-Series posts mostly Bollywood music videos and movie trailers. Though the company has been around for decades, it launched its YouTube channel in 2006. At the time of this writing, T-Series has 92.56 million subscribers. Felix Kjellberg aka PewDiePie has been the world’s most subscribed YouTube channel for years, despite losing the crown to T-Series for a few days. Felix started making YouTube videos from his college room, then sold hotdogs for a living. The Swedish gamer and comedian rose to prominence because of his witty comedy style. He announced in 2014 that his YouTube channel generated $7 million in annual revenue.